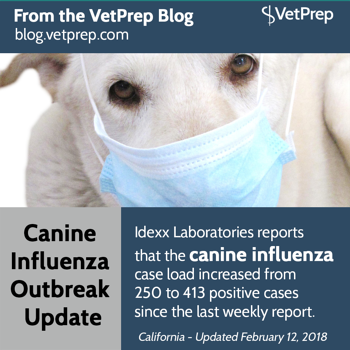 There have been two cases of Canine Influenza Virus H3N2 confirmed in Idaho this week. There have also recently been cases in the San Francisco area, Texas, and the East coast. Veterinarians and veterinarian students, here is our latest infographic on canine cold weather risk for small, medium and large dogs. 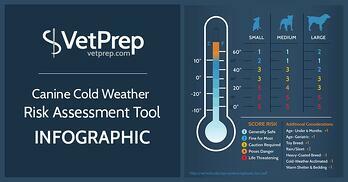 This assessment tool will give you the score risks for each size and also some other considerations.